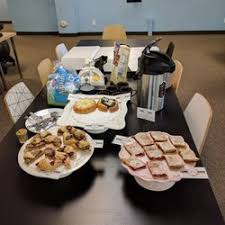 Refreshments – in some case simply offering your staff free refreshments whilst they are at work can make a massive difference in the way that they view the company. There are also some businesses who offer discounted food in a staff canteen. Both of these help your employees to feel like their wellbeing is valued within the company. Target prizes – this is a common reward strategy within the sales environment, but it can be used in pretty much any role and follows the principles of an employee of the month type reward. You can use this as a way to encourage your staff to perform to the best of their ability, but you should be aware that this type of strategy naturally causes competition between staff members and this may not be appropriate for your business sector. Training – when an employee feels like they have achieved all then can in a role and there is nothing left for them to learn and nowhere for them to progress to, you can find that their morale and motivation starts to dip. Training is a good way to help renew a person’s love for their job or perhaps help them to see things from a different angle. Regardless of a person’s position within the company there will always be some internal training such as job shadowing or external training that will help them. For team leaders and managers www.althris.com may be a good place to look as the offer Scrum Master Training Dublin way to help with the people management responsibilities of these kinds of positions. Office get togethers – these can be great ways to get all of your staff pulling together and to help develop the relationships between staff members. You can do this on a formal or informal basis. 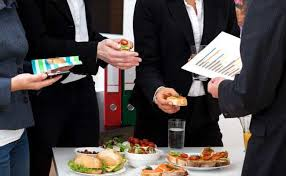 You may want to arrange a day away from the office where you train your staff on a new element of the business and arrange for a catered lunch, or perhaps you have a breakfast gathering once a month just as a way to thank your staff for all they have done. There are many other ways you can motivate your staff. You just have to find the ones that work for your business sector and the group of individuals that you employ.